If you tuned in to ESPNU this afternoon for a show called Bracketology, you apparently got an added bonus: A reveal of most of the bracket for this year’s NCAA women’s basketball tournament! 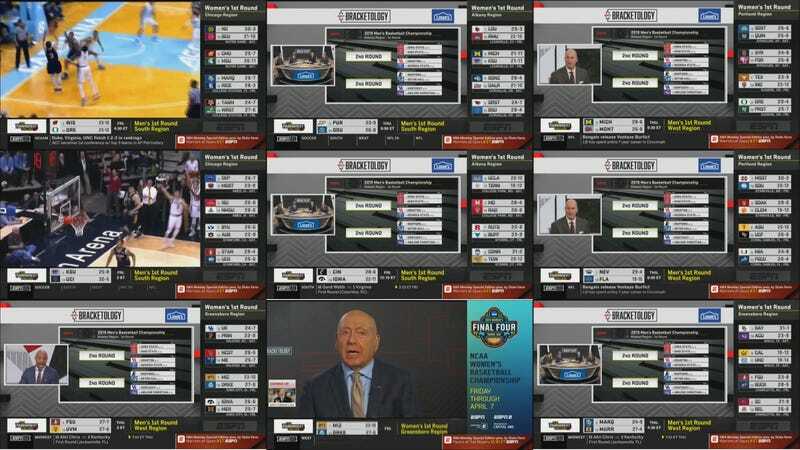 When ESPN came back to Bracketology from commercial at 3:15pm EDT, it began showing graphics of the women’s NCAA tournament regions on screen next to a discussion of the men’s bracket. The selection show for the women’s tourney isn’t until 7 tonight. Whoops! Here’s the entire field, with an assist from ESPN’s graphics department. Click here to expand. ESPN did not immediately respond to a request for comment. 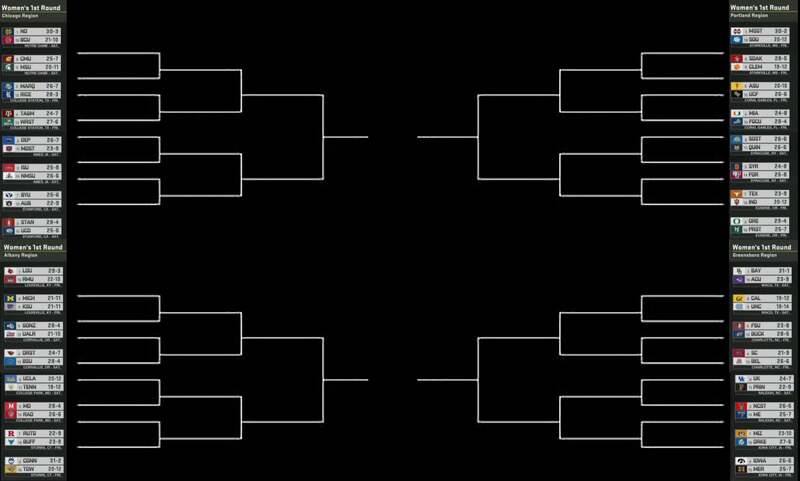 In working with the NCAA to prepare for tonight’s Women’s Selection Special we received the bracket, similar to years past. In the midst of our preparation, the bracket was mistakenly posted on ESPNU. We deeply regret the error and extend our apology to the NCAA and the women’s basketball community. We will conduct a thorough review of our process to ensure it doesn’t happen in the future. We will now broadcast the full bracket at 5 p.m. ET on ESPN2, and the regularly-scheduled show on ESPN at 7 p.m.